At last I made it to the Virginia Woolf exhibition at the National Portrait Gallery! How has it taken me such an age? Why is it that although London is filled with fascinating things to see and do, it is so rare that one actually manages to find the time to see and do them? The exhibition was the perfect end to my Sunday afternoon. First, I ventured to the Ladies’ Pond on the Heath, where it was only just not too cold to be bearable. My wimpishly slow descent down the ladder was forgiven by the more seasoned swimmers once they saw my enormous belly and instead began to inquire as to whether or not the baby enjoys it. Who knows, but I certainly do. Once I was finally paddling away in the freezing pond, there were so many endorphins going off that I felt as high as a kite for a good hour afterwards. Apparently, one’s body is especially good at producing endorphins when pregnant (our hypnobirthing teacher says it’s so that when the big day arrives, all the endorphins come flooding out and act as natural pain relief … ummm, here’s hoping), so add to that swimming, which also stimulates endorphin production, and you can see why it’s all too easy to feel completely out of it. So everything was still spinning somewhat when I arrived at the National Portrait Gallery a little later. These letters come at the close of the exhibition, and yet they’re the first thing I mention because it seems impossible to think of Virginia Woolf without thinking of her terrible end. From the age of thirteen, she was afflicted by serious problems with her mental health, and there are references to her breakdowns throughout the exhibition – a dark thread winding throughout her brilliant, glittering life. But really it is all the space given to Woolf’s glitter, glamour and gossip which struck me as so unexpected and enjoyable about the exhibition. 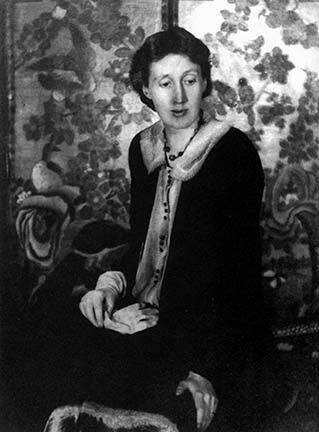 There are photographs of Woolf posing for Vogue (below), and for Man Ray, snapshots of her staying with Lady Ottoline Morrell at Garsington in an outfit by the designer Nicole Groult commissioned for her by Madge Garland, fashion editor of Vogue. I’d never really thought of the glamour of Woolf’s life before. Yes, I’ve heard Woolf’s phrase ‘frock consciousness’ bandied about, but this was the first time I’d been made to pause and think something of it, of how she dressed herself and posed for the public eye. Writers, of course, are observers, onlookers, and Woolf perhaps more so than most. You have only to read her ‘Mr Bennett and Mrs Brown’ essay (which I wrote about a bit here) to see how preoccupied she was with the way authors fail to represent their characters by amassing details about their outward appearance as opposed to attempting to convey their interior life. Woolf was so keen an observer that she didn’t stop at the surface, she insisted on getting inside her characters’ consciousnesses. So it was surprising to see so much evidence of the way Woolf herself was seen, or indeed, how she chose to be seen. In contrast to these beautiful posed photographs, there’s an intriguing one from 1893, when Woolf was only eleven. 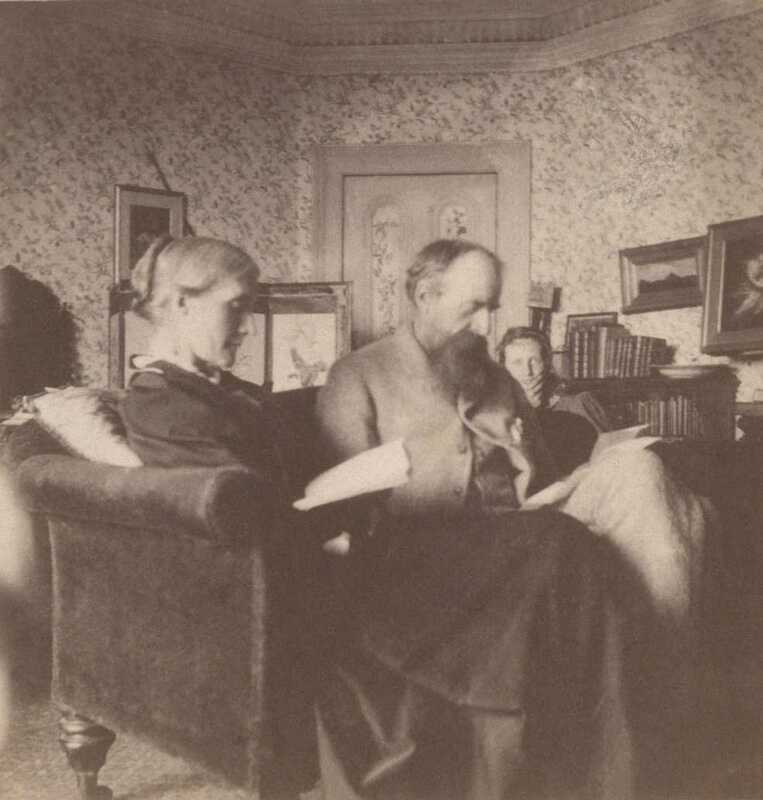 It shows her parents Julia and Leslie Stephen reading at Talland House, their Cornwall holiday home. Her parents are in the foreground, side-by-side on the sofa, both focused on their reading. The background has all the furnishings you might expect – a patterned wallpaper on which hang some pictures, one slightly crooked; a decorative screen; plenty of books on the shelves – and there is also a young Virginia Stephen poking her head out, hands cupped around her chin, watching her parents, thinking. I loved all the photographs of Woolf’s early life. 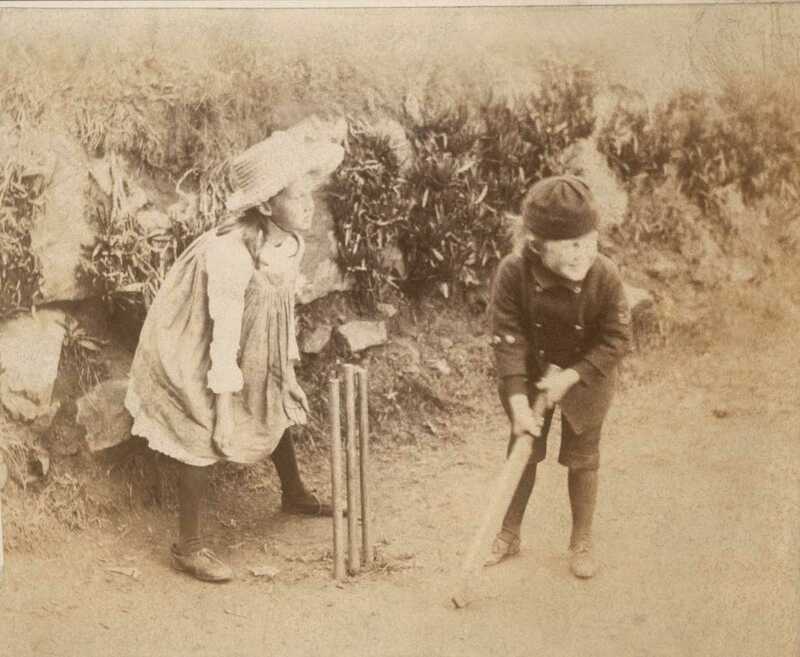 There’s a wonderful one from 1886 of her playing cricket with her brother Adrian. Virginia is the wicket keeper in an enormous white hat, smock, stockings wrinkling around her ankles and a shoelace carelessly undone. She is leaning forwards, looking at the bowler, who is out of frame, palms open ready to catch, tense with the excitement of the oncoming moment when the ball will be thrown. I knew Woolf was a tomboy as a child, but even so, seeing her looking rather ragged and ramshackle, playing cricket with such glee, was an unexpected delight. If I try to say what I feel, I become stupid & stammering: it’s like a wall of words rising up in front of me & there on the other side you’re sitting so clear & beautiful & your dear face that I’d give everything in the world to see now. It’s terribly endearing to think of these two literary figures falling in love and Leonard for once struggling with the shortcomings of words, his vision of her making him ‘stupid & stammering’. Is the sunlight ever normal at Garsington? No I think even the sky is done up in pale yellow silk, and certainly the cabbages are scented. 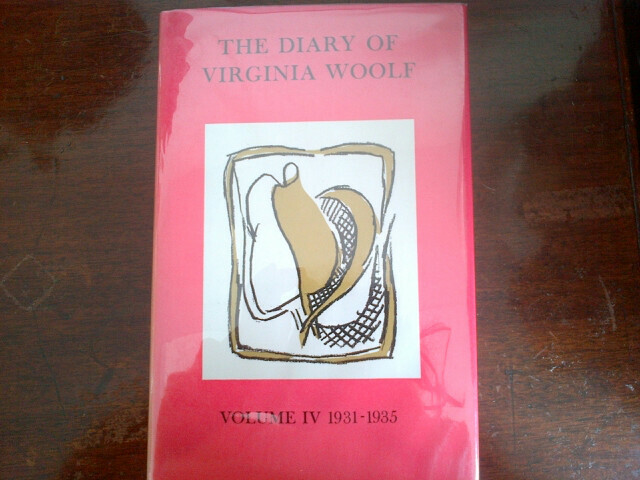 For all the dark notes that resound throughout Woolf’s life, lacing this exhibition with the shadow of her eventual suicide, there is also a wonderful amount of fun, of fashion, of friends, gossip and a sense of the great joy there is to be found in day-to-day life. 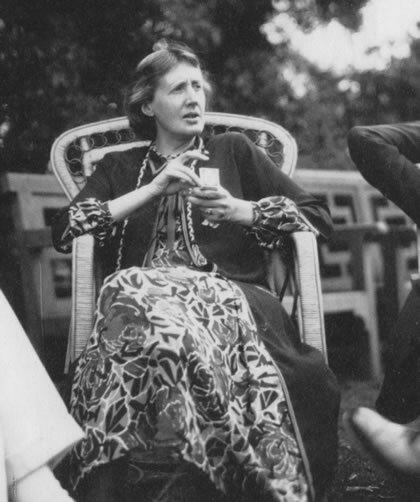 Here’s Woolf in her Nicole Groult dress, among friends at Garsington. 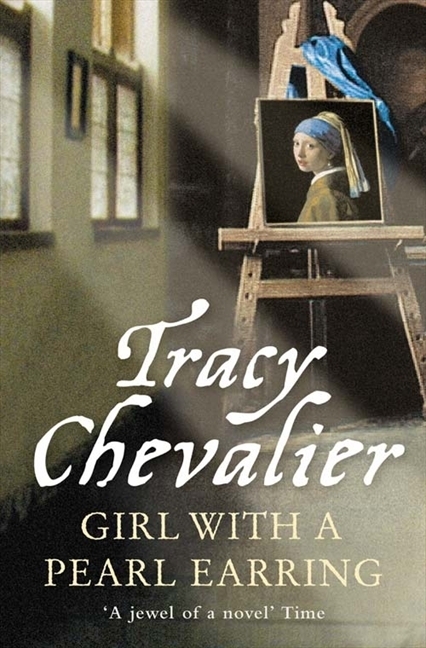 Next week, we will be talking about Tracy Chevalier’s brilliant new novel The Last Runaway, which has just come out in paperback, but I couldn’t resist the excuse to read – at long last – Girl with a Pearl Earring as well. The novel begins with Griet chopping vegetables. We quickly learn that her father was a tiler, but has been blinded in an accident, so the family has fallen into poverty and Griet is sent to be a maid in the house of Vermeer. 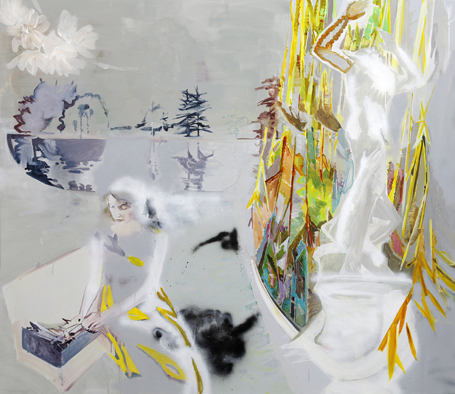 The artist suspects she will be well-suited to the job of cleaning his studio as she has a sensitivity to colour – shown in the way she lays out slices of vegetables in a colour wheel before putting them into the soup, and also because her father’s blindness has made her good at leaving things where they are meant to be. Ironically, this need for things to be left exactly as they were is one felt just as keenly by a blind man as by a painter, who sees so well. Griet sets off to this new household, different in so many ways to her own. It is Catholic, wealthy enough to afford maids and meat, and ruled over by two mistresses: Vermeer’s wife Catharina – sour, jealous, endlessly popping out babies – and her mother Maria Thins, who one senses is really in charge, certainly of the house’s finances. There are several children, but most notable is awful Cornelia – malicious, cunning and cruel in the way that only little girls can be. She pointed to a great mound of clothes – they had fallen far behind with their washing. I would struggle to catch up. Including me there were ten of us now in the house, one a baby who would dirty more clothes than the rest. I would be laundering every day, my hands chapped and cracked from the soap and water, my face red from standing over the steam, my back aching from lifting wet cloth, my arms burned by the iron. But I was new and I was young – it was to be expected I would have the hardest tasks. The laundry needed to soak for a day before I could wash it. In the storage room that led down to the cellar I found two pewter waterpots and a copper kettle. I took the pots with me and walked up the long hallway to the front door. Griet displays the same calm objectivity with the rest of her new life. She notes a problem – a difficult person or task – assesses exactly what the trouble is and then quietly goes about it as best she can. A practical and clear-headed heroine. It was an orderly room, empty of the clutter of everyday life. It felt different from the rest of the house, almost as if it were in another house altogether. When the door was closed it would be difficult to hear the shouts of the children, the jangle of Catharina’s keys, the sweeping of our brooms. This room is a special place, a quiet sanctuary. She savours her time alone cleaning in there, and slowly it becomes hers as much as it is Vermeer’s. It is an interesting take on Woolf’s ‘A Room of One’s Own’, for while the studio isn’t Griet’s own space, she asserts her presence and comes to share it with Vermeer. Vermeer notices her artistic eye and it’s not long before he asks her to assist him, teaching her how to grind the colours and mix the paints, and explains elements of composition and colour to her. He arranges it so that she can sleep in the studio’s attic to give her more time to help him. There is a key moment when she sees what is needed in one of his paintings before he does, and rearranges it for him. ‘I had not thought I would learn something from a maid,’ he said at last. As a counterbalance to Griet’s settling into her new life, Chevalier lets us watch the threads of her old life slowly unravel. Every Sunday she visits her family, and we see the relationships fracture. Meanwhile, Griet is pursued by the butcher’s son. 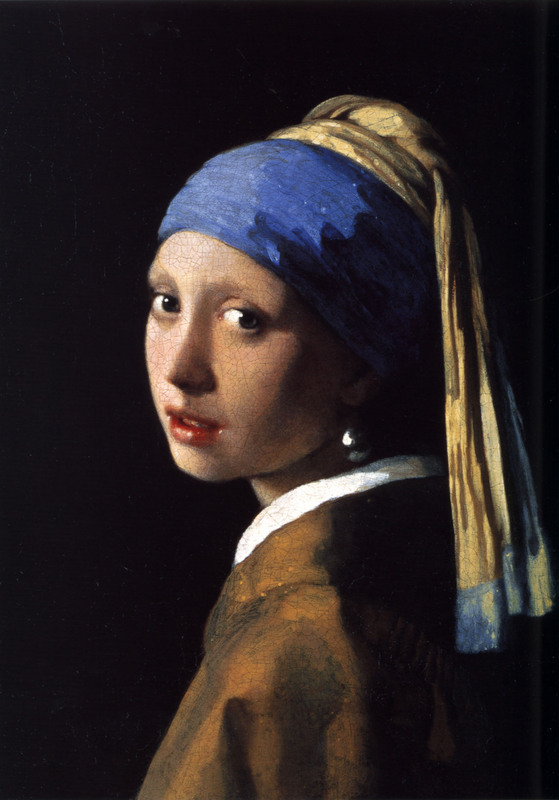 While our practical heroine can see how he would provide food for her poor family and how kind he is in the way he cares for and helps her, she is repulsed by the blood under his fingernails, and – we can see, before she admits it to herself – he doesn’t equal her enigmatic, and clean-handed, master Vermeer. There the stones had been laid to form an eight-pointed star set inside a circle. Each point aimed towards a different part of Delft. I thought of it as the very centre of the town, and as the centre of my life. Take care to remain yourself … The women in his paintings – he traps them in his world. You can get lost there. Characters and circumstances conspire to trap Griet, to close off a path and to bully her into submission, either to the lusty advances of a man, or the mean actions of a woman. And yet Griet – our quiet, practical heroine – manages to cool-headedly resist and remain herself, treading her own path, albeit with just enough nearly getting lost to keep you gripped. And what did Daphne think? Well, poor Daphne is having some trouble with her left eye, and now goes about with it closed, poor thing, giving her a somewhat piratical look. She will be going to the vet to have it flushed out next week, but in the meantime I think her vision of the world is a little wonky and perhaps reading a book that makes such a contrast between a blind man and an artist, with so much thinking about art and composition and colour was rather an insensitive choice. Also, as a strict vegetarian, all the descriptions of the meat at the market were quite upsetting for her. 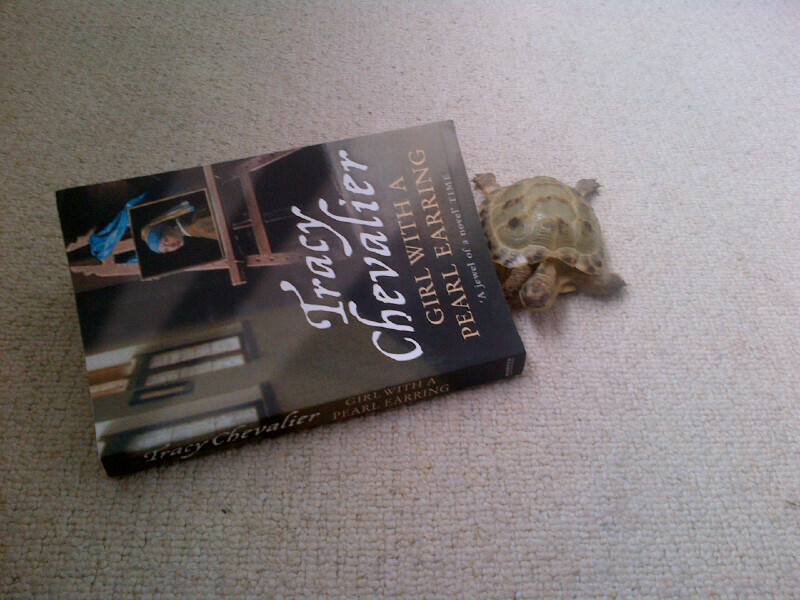 Nevertheless, she agrees that Chevalier has a fine prose style and, as we know, Daphne, like Griet, is not afraid to go exploring, and will always find her way out of a trap! Incidentally, Vermeer also came up in Proust (see last week’s post). Swann is writing an essay about him, although I very much doubt that Charles Swann would have come up with anything as fun, engaging and gripping a work as Tracy Chevalier. On Saturday, the husband and I went to Roche Court for the opening of an exhibition by Sarah Pickstone. Once we had at last arrived (Roche Court is wonderfully hidden away), and pulled up on the gravel outside a pretty nineteenth-century house, we were told to slip around a tall hedge to get to the lawn. A feeling of secrets, special private nooks and crannies, things hidden away to be chanced upon or else unwittingly missed pervades the place. The parkland around the house is dotted with sculptures, which sparkled in the light. Everything was dripping with bright yellow sunshine; it was the first day I’ve felt hot all year. We all thronged on the lawn, feeling the sun on us and feeling utterly peculiar. It was as though we’d simultaneously jumped back a hundred years to a time when people did hang around on the lawn, talking amiably, drink in hand; and jumped forwards several months to an inconceivable summer where we weren’t all cold all the time. Attached to the lovely old house is a beautiful modern gallery, in which Sarah Pickstone’s The Writers Series is displayed. Pickstone has thought about how Regent’s Park influenced various women writers, and captured that feeling in her paintings of these writers. Amongst those she’s painted are Elizabeth Barrett Browning, Sylvia Plath, George Eliot, Katherine Mansfield and Virginia Woolf. What a feast! I was standing around, dazzled by the sunshine and the ethereal yet striking paintings, in this strange park in the middle of nowhere – seemingly in a different time, a different world altogether to the manic rush of London life, which I’d left just a couple of hours ago – when Marina Warner gave a talk to open the exhibition. Certainly, on Saturday, Sarah Pickstone’s art in the setting of Roche Court stopped the rush. He was a talk producer, that ancestor. But the lady was a picture. In her yellow robe, leaning, with a pillar to support her, a silver arrow in her hand, and a feather in her hair, she led the eye up, down, from the curve to the straight, through glades of greenery and shades of silver, dun and rose into silence. The room was empty. Empty, empty, empty; silent, silent, silent. The room was a shell, singing of what was before time was. a luminous halo, a semi-transparent envelope surrounding us. 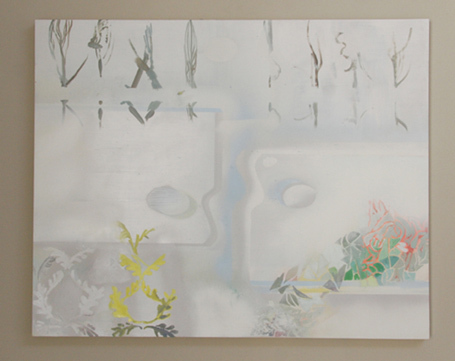 This seems very relevant to Sarah Pickstone’s work, which is at once ‘luminous’ with the bright streaks of colour and ‘semi-transparent’ with so much of the surrounding canvas so pale. 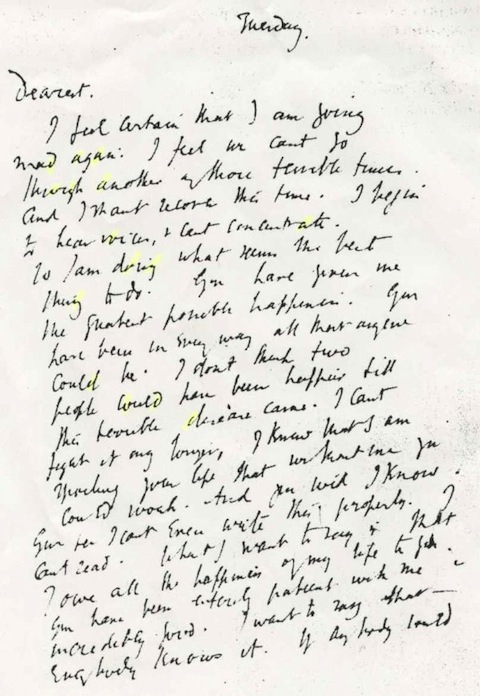 Around Woolf’s head is a shape that could almost be an envelope, and her face is unexpectedly blank – emptiness and silence at the heart of this envelope, as opposed to the luminous patterns on her dress. In Woolf’s writing about painting, she echoes Marina Warner’s observation about tempus. The painting in Pointz Hall leaves the room ‘singing of what was before time was’. 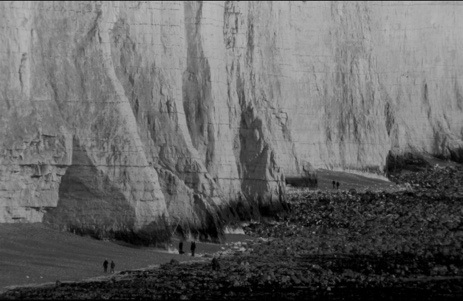 Silence becomes singing, and time is transcended; the experience is strangely time-less, or perhaps prehistoric – an idea which comes up again and again in Between the Acts (more about this in this post about Dungeness). Roche Hall isn’t so far from Stonehenge. I love this passage about the painting. I thought perhaps I’d better see what Virginia Woolf wrote about Regent’s Park. glades of greenery and shades of silver, dun and rose into silence. 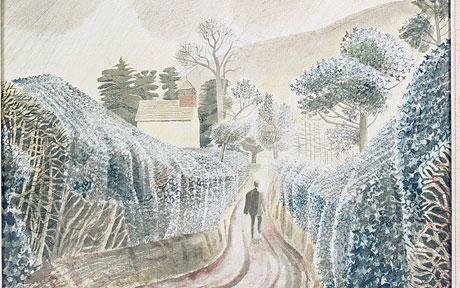 And it seems perfect for Sarah Pickstone’s painting, with its ‘misty’ background coupled with the pinks, greens, blues, yellows and silvers of the figure. 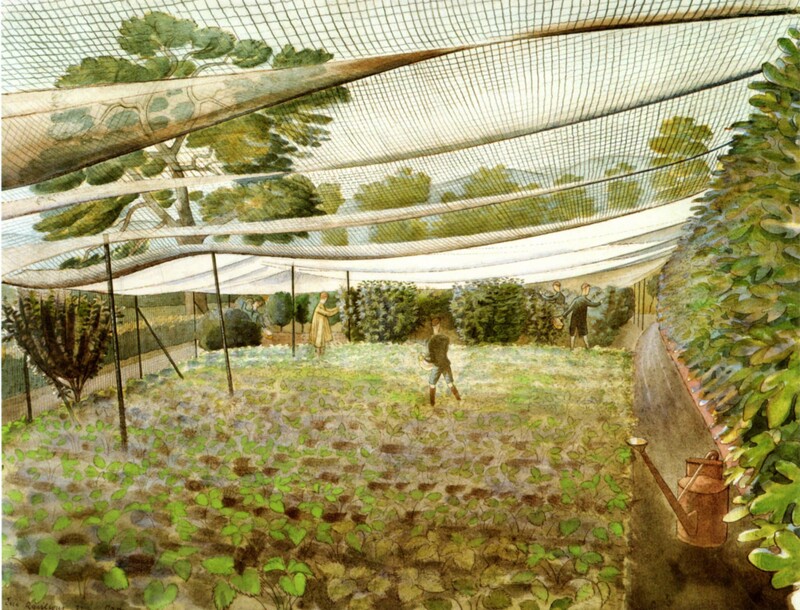 Her painting of Woolf in Regent’s Park is a beautiful rendering of how Woolf experienced both painting and Regent’s Park. I don’t really know what happened on Saturday. Just a couple of hours outside London and I was in a different world altogether, doused in sunshine, silence, space, and beautiful paintings to reflect upon. It felt very Woolfian, to be flooded with so much colour and light and beauty in such a strange moment that seemed to bend time. 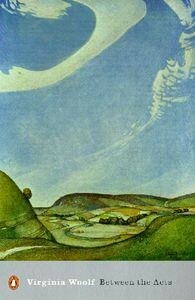 I shall leave you with Pickstone’s painting, Orlando. 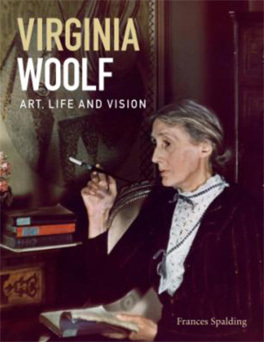 This hero/heroine of Virginia Woolf was perhaps the greatest time-bender (as well as gender-bender) of them all. When I woke up on Saturday morning I was thinking very hard about windows. The previous night I went to see the Exposed exhibition at the Tate Modern and then, instead of going to a big amazing party in Hackney, stayed in and watched a BBC adaptation of Mrs Dalloway on iPlayer. I am sure this is the onset of middle age. Everything muddled together in my head overnight and resulted in this preoccupation with windows. For windows enable exactly that – one can be inside, separate from, yet looking out on to the street. This function of a window strikes me as particularly applicable to a moment just before the end of the BBC version of Mrs Dalloway. The party, for which Clarissa Dalloway has spent all day preparing, is in full swing. A doctor arrives very late and apologises for his tardiness, explaining that one of his patients has just killed himself. We already know this, because we have seen his patient – Septimus Warren Smith – kill himself earlier on. Clarissa is upset by the doctor bringing death into her party and goes into a small quiet room next door to come to and recover. She goes to an open window and looks down upon the street, watching carriages coming and going, people arriving and leaving her party. … he will not be able to manage for long without a window looking on to the street. And if he is in the mood of not desiring anything and only goes to his window sill a tired man, with eyes turning from his public to heaven and back again, not wanting to look out and having thrown his head up a little, even then the horses below will draw him down into their train of wagons and tumult, and so at last into the human harmony. Mrs Dalloway has gone to her window a tired woman, but the movement of the street helps her recover, brings her back ‘into the human harmony’, ready to face the party again. Up had flashed the ground; through him, blundering, bruising, went the rusty spikes. There he lay with a thud, thud, thud in his brain, and then a suffocation of blackness. So she saw it. So windows, then, are not just an eye upon the street; they are a boundary between home and street. 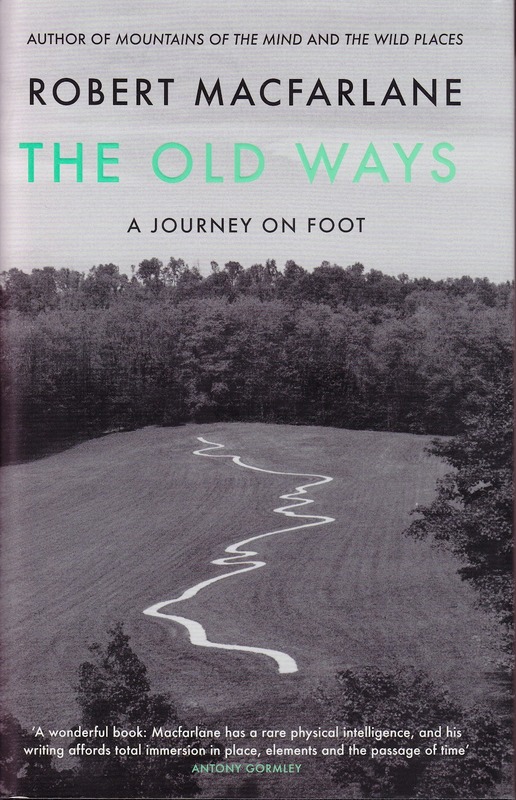 A boundary which can be too easily transgressed – a transparent line which, if stepped across, if one is so moved to escape the interior world and desperate to join the street, leads to death. What a lark! What a plunge! For so it had always seemed to her when, with a little squeak of the hinges, which she could hear now, she had burst open the French windows and plunged at Bourton into the open air. For Woolf then, windows are an escape – ‘a plunge’ – a bursting out of the oppressive interior and out into the world, into the street. But this optimism is shattered with Septimus’ death, when he moves from the inside, through the window, to the street. In Exposed at the Tate Modern, there are photographs of people killing themselves by jumping from buildings. These are tragic enough, but more chilling are the photos of the crowd gathering around, watching the spectacle. There is one of a young man in South Africa, Amos Gexella, looking back anxiously at the camera poised on the edge of the sixth-floor balcony of a building. Blurred on the street below are crowds of people. Apparently, the caption tells us, an estimated 2,000 onlookers yelled ‘Jump! Jump’. Two hours later he rolled off the parapet to his death. Coming down the staircase opposite an old man stopped and stared at him. Holmes was at the door. Septimus’ suicide depends on witnesses, just as the death of his friend Evans, during the war, is made all the more horrific by his witnessing it and his repeated hallucinations of that horrific moment. She parted the curtains; she looked. Oh, but how surprising! – in the room opposite the old lady stared straight at her! … She was going to bed, in the room opposite. It was fascinating to watch her, moving about, that old lady, crossing the room, coming to the window. Could she see her? It was fascinating, with people still laughing and shouting in the drawing-room, to watch that old woman, quite quietly, going to bed alone. What about when the process is reversed? What happens when instead of looking out of the window on to the street, one looks from the street back into the window. There is a striking example of this at the Tate Modern’s Exposed. 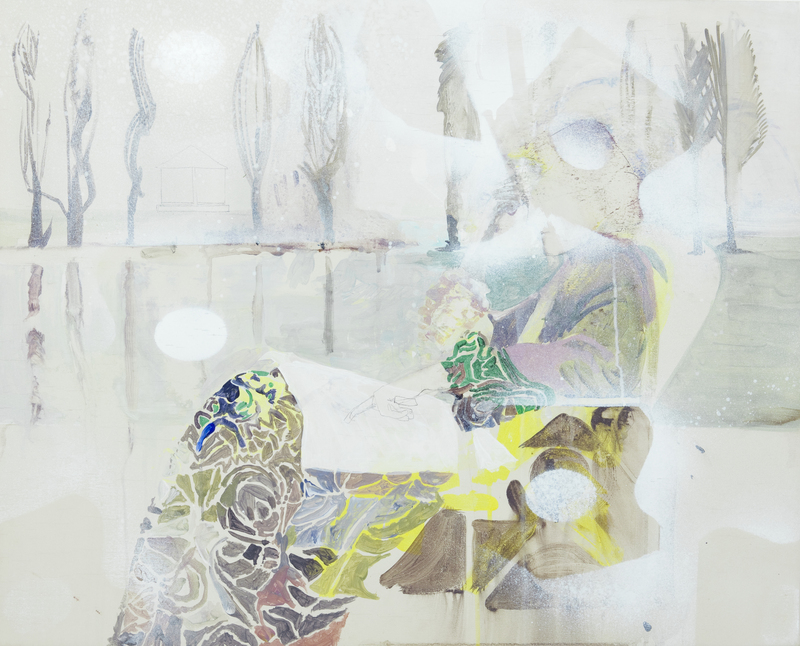 Two photos from Shizuka Yokomizo’s ‘Stranger’ series are on show. Yokomizo wrote anonymous letters to several subjects asking if they would stand, with the lights on, at a particular window at a certain time of night, so that she could photograph them from the street. If they chose not to participate they could close the curtains, and if they chose to open the door to meet her then she wouldn’t use the photo. The encounters lasted for ten minutes, and nothing else was exchanged. In the ‘Stranger’ photos the first thing I noticed was that appendage to a window: the window frame. Because here window frame and picture frame are almost perfectly aligned. Looking into a window yields only a small glimpse of the occupant’s home and private life. But, as with many portraits, photos, still-lifes, one is tempted to infer as much as possible from the details that are on show. Everything in the frame gains significance just because it is included. One feels as if one is intruding, looking into someone’s home through their window. The window panels and frame also act as bars, preventing entry, blocking a complete unhindered view. And it is this feeling of intrusion that is played with, encouraged, in many photos that highlight voyeurism. Merry Alpern’s Dirty Windows series – also on show in Exposed, and mentioned by Geoff Dyer in his fantastic The Ongoing Moment – are good examples. 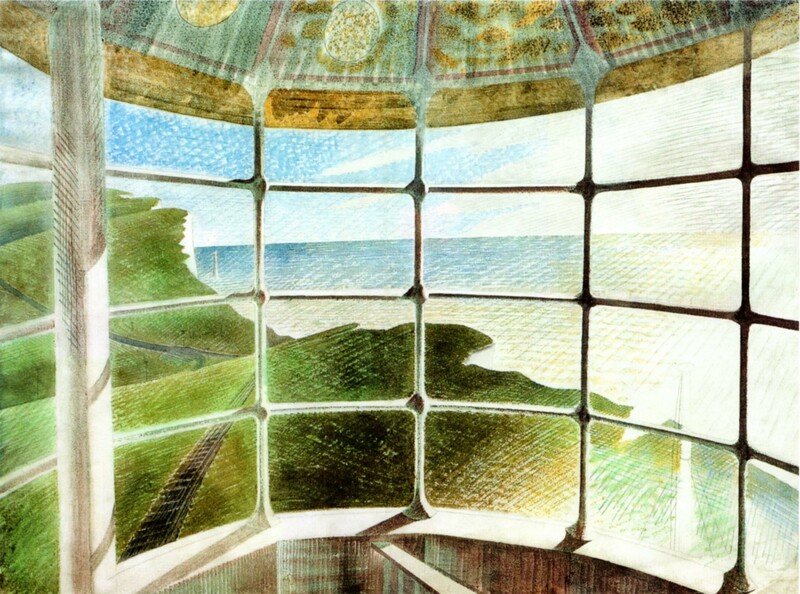 In Mrs Dalloway – both film and book – windows are two-way. They are a method of looking in and looking out; of moving from interior to exterior and back again, between characters, between different aspects of London. As Woolf flits from one character’s thoughts to another, so seamlessly, so smoothly, so windows are sheer, smooth linking devices, ways of joining people, openings. The sun became extraordinarily hot because the motor car had stopped outside Mulberry’s shop window; old ladies on the tops of omnibuses spread their black parasols; here a green, here a red parasol opened with a little pop. Mrs Dalloway, coming to the window with her arms full of sweet peas, looked out with her little pink face pursed in inquiry. Everyone looked at the motor car. Septimus looked. The photographer didn’t want to go into the streets; instead, by dint of obsessive Borgesian twists, the street moved into the home. And perhaps this hints at the riskiness of windows, their untrustworthiness. Smith’s window was supposed to be his protection from the street but instead it brought the street to him, enabling it to invade his interior space. Windows don’t provide an escape in Mrs Dalloway, they lead to death, or to a view of another observer at their window, a kind of distorted mirror. They don’t provide honest views of people and their homes in Yokomizo’s ‘Stranger’ series – the frames block entry, only allowing views of specific sections. And, perhaps it’s rude, but I’d like to end with a photo which I think of as an insult to windows. I came across Edward Steichen’s photo Sunday Papers in Geoff Dyer’s The Ongoing Moment. Annoyingly the copyright must be assiduously protected as I can’t find a picture of it online anywhere. The photo is a view out of a window but there is no street. Most of the frame is filled with a brick building. In the centre of all the brick is another window, wide open, but you can look in only far enough to see a man, not even looking back at you, but reading the papers. He is frustrating the window. Because of this man, you can’t see in through his window and you might as well not be able to look out of your window as, aside from the man, you can only see a brick wall. But the man is reading the newspaper – he has found a different view, a different way of having eyes upon the street. And, I’m afraid, he’s saying it’s better.